I was receiving many requests for compiling a list of apps that allows users to win paytm cash by predicting the things that you think will happen in a sports match. 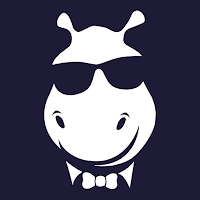 Most of the apps listed in this post have already been reviewed here on Infosmush. So if you want more details about an app, just search the name of the app in the search bar. Predicting is one of the fun ways of winning paytm cash. I myself use many of the apps listed here. Almost everyone loves to predict. This can be proved by the fact that people enjoyed fantasy sports and making predictions long before the money was involved(online). It is like a game it’s just that you can win paytm cash. Rooter is the first predict-and-win app that I reviewed on Infosmush. Rooter is available for iOS and Android devices. On Rooter you can make predictions during live matches. For every prediction that comes true, you will win coins. You can also play real-time fantasy cricket. When the match begins or before it, you can select 4 players and join a tournament. The tournaments have 5 players(including you). Entry fee for a tournament is 250 coins. What makes it “real-time” is this: You have “Powerups” and you can substitute your 4 players. Some powerups can be used to boost your players while others can attack the players of your opponents. You can redeem your coins for Paytm voucher/coupons. 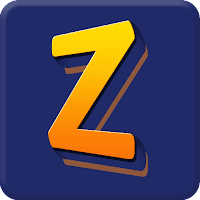 Zupee is an Android app that can be downloaded from the play store. You can easily login with your Google account and start predicting. On Zupee you can earn paytm cash by playing quiz tournaments on various topics like Maths, GK and Bollywood. And also by making predictions for cricket matches of India and IPL. All the quizzes and prediction games are free to participate and live. So you need to answer/predict when the tournament starts, not before not after. On Zupee Gold the tournaments are paid. You need to pay the entry fee of the tournament that you want to participate in. On signup, you will get 2 tickets that you can use to join tournaments for free and win paytm cash. On Loco you can predict for matches of sports like cricket, football, and hockey. There are 10 questions. Some require you to enter a number while others choose an option. For every prediction that comes true, you will earn coins. Your rank depends on the number of coins you win. The more coins you win the higher your rank will be and the more cash you’ll win. To participate in the contest you need coins. You can earn coins by playing games and referring your friends. Also on sign up, you’ll get 1,540 coins. You can redeem your winnings to your paytm wallet. The minimum amount that can be withdrawn is Rs. 1. 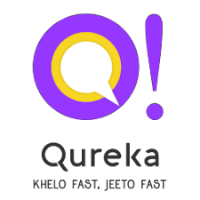 Qureka is another live quiz app where you can predict for cricket matches and win paytm cash. There are both paid to join and free matches. 1. Each match will have a set of questions that you need to answer (predict) before the actual game starts. 2. Once you have submitted an answer (prediction) you cannot change it later. 3. You get 2 points for every right answer (prediction), -1 for every wrong answer (prediction). You also get 3 extra points in case you answer (predict) 3 questions right in a row & 5 extra points (loyalty bonus) for answering all questions for a match. 4. The winners for a match are decided depending upon their scores & time taken to answer all questions. 5. Prizes will be given basis the prize metrics for the game. 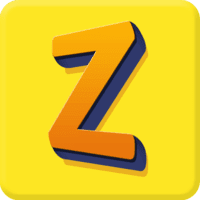 Zingura is another app where you can predict and win paytm cash. 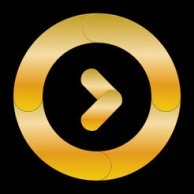 On Zingura Play you select a match, join a pool/contest and bid. Every pool that you join requires some entry fee to be paid in ‘Zings’. 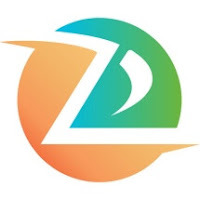 Zings are virtual currency of Zingura Play app. The amount of zings paid to join a pool are used to make bids. For example; You join a pool with an entry fee of 1,000 Zings. Now you need to answer some questions and bet Zings on your answers(prediction). The Zings that you win when your predictions come true depends on the number of users who have selected the same option and betting amount. So, if very few users predict what you predict you’ll win a higher amount of Zings as opposed to the other way around. You can redeem the Zings that you won for Paytm cash. Luckyst(formerly known as Lucky Stars) is another app where you can win paytm cash by making predictions for Cricket matches. You need coins to join contests/leagues. The more your predictions come true the higher the cash prize you can win. Nostra Pro allows you to play the prediction quiz for over 9 sports including, cricket, hockey, football, and tennis. While you are making predictions you also have powerups that you can use to improve your chances of winning. 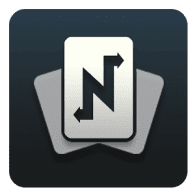 Nostra pro is one of the best apps to predict and win paytm cash. Unlike the other apps, on Nostra Pro, you can create multiple sets of predictions and join different contests. It's like creating multiple teams and joining different leagues. Your rank depends on the points scored. On WinZO Gold you can participate in free IPL quizzes and win cash prizes. To participate in these quizzes you’ll need tickets. You can collect tickets by referring your friends, spinning the wheel of fortune, etc. With Hotstar Watch & Play you can make ball-by-ball predictions and win lots of prizes including paytm cash. So this was my list of apps where you can predict and win paytm cash. Do you know any other apps? You can also play the prediction game on CricPlay and stand a chance to win Paytm cash. You can participate in the daily prediction game by answering 1 question. Every day you can make 1 prediction. If you have the longest streak(consecutive correct predictions) a question will be asked. If you answer the question correctly you'll win the weekly cash prize. If there are more than one winner prize money will be split equally. Did I miss something? Comment down below the apps where you predict to win Paytm cash.